1. 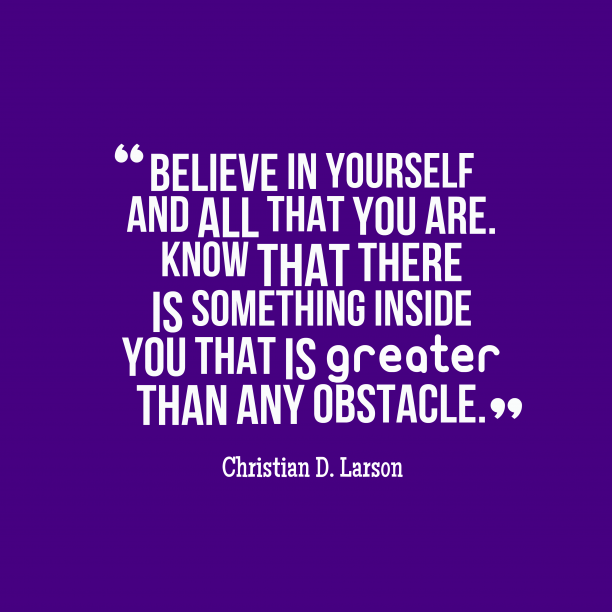 Christian D. Larson quote about confidence. 2. 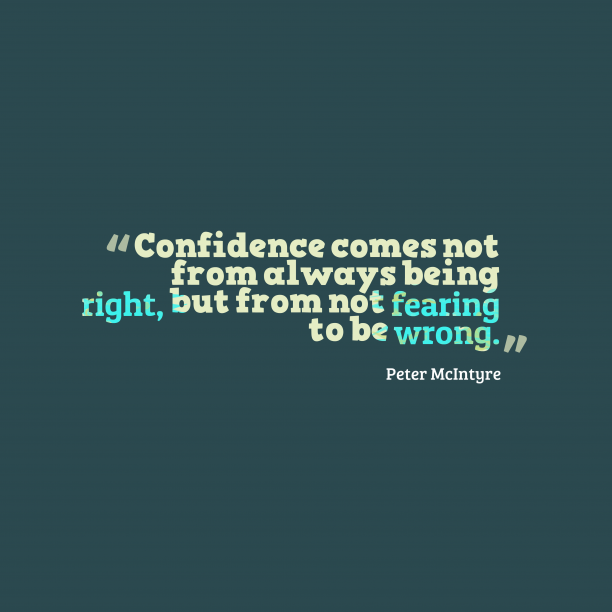 Peter McIntyre quote about confidence. 3. 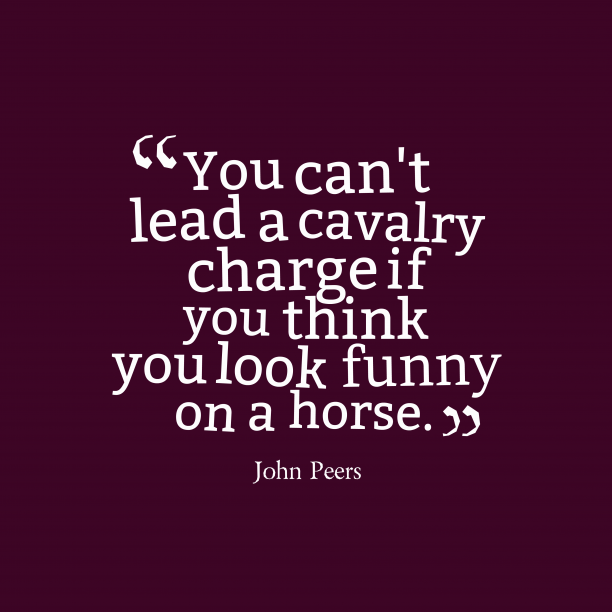 John Peers quote about confidence. 4. 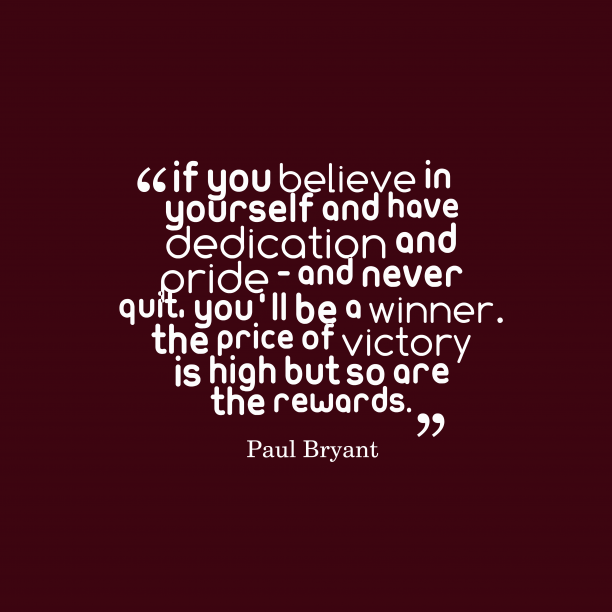 Paul Bryant quote about confidence. 5. 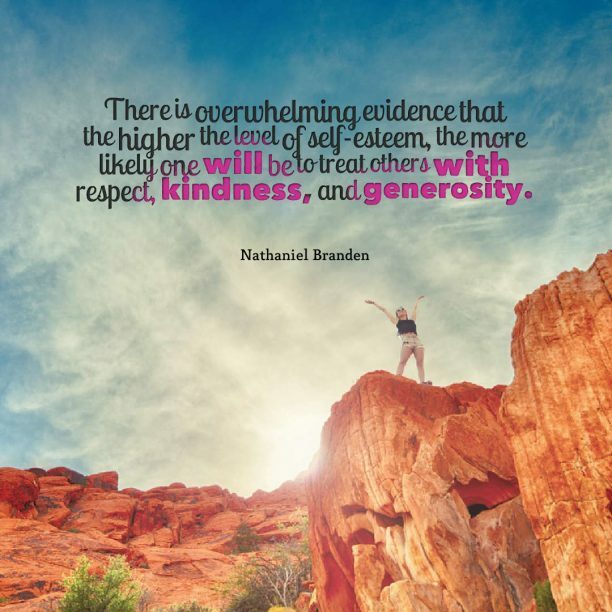 Nathaniel Branden quote about confidence. 6. 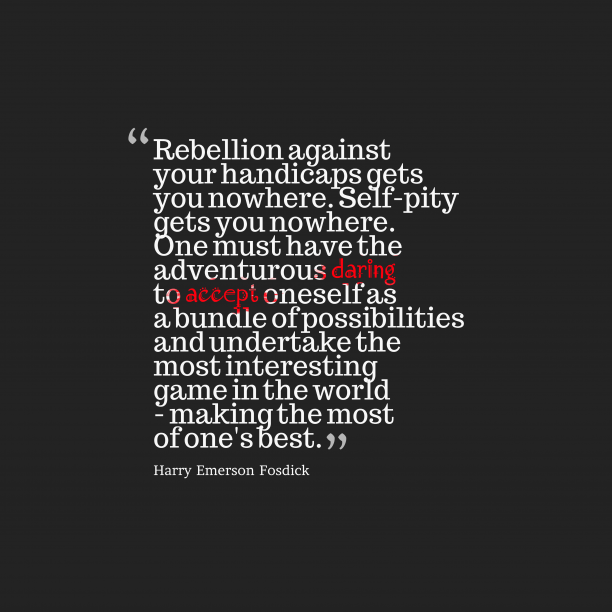 Harry Emerson Fosdick quote about confidence. 7. 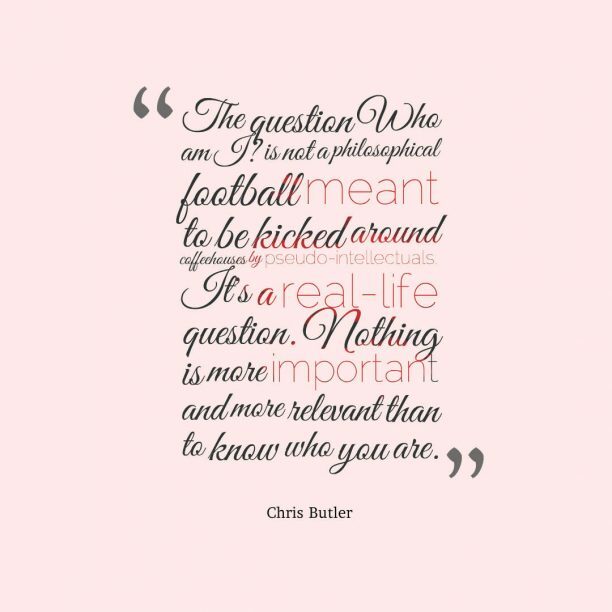 Chris Butler quote about confidence. 8. 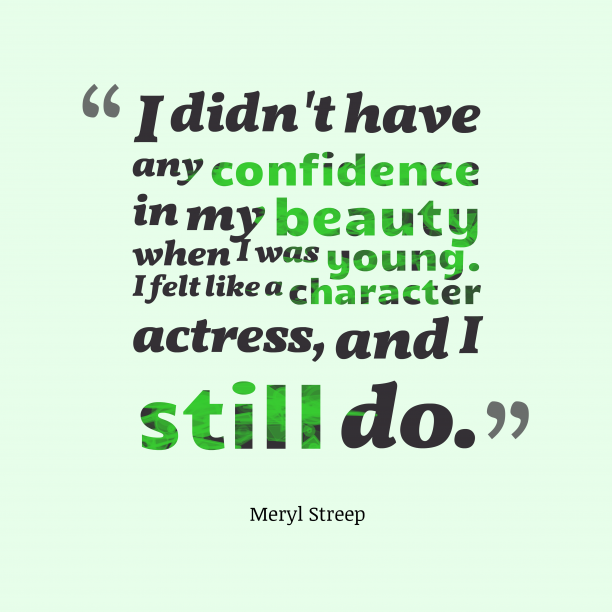 Meryl Streep quote about confidence. 9. 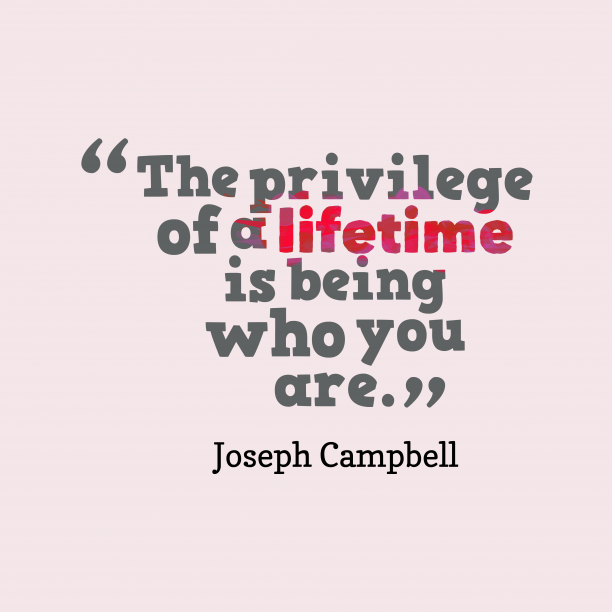 Joseph Campbell quote about confidence. 10. 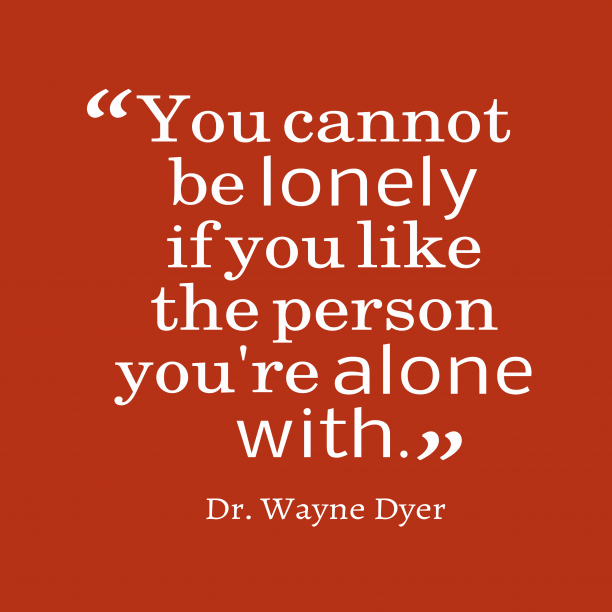 Dr. Wayne Dyer quote about confidence. 11. 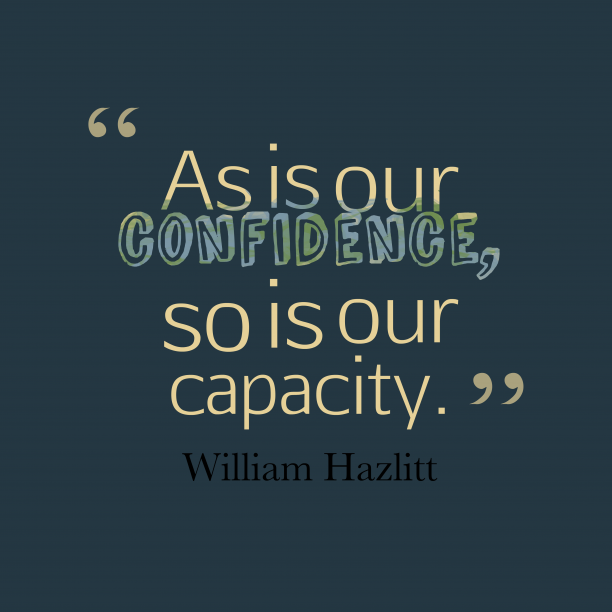 William Hazlitt quote about confidence. 12. 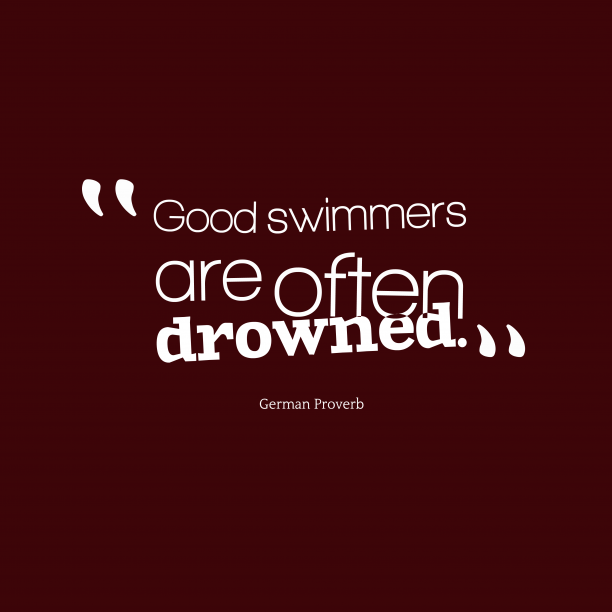 German wisdom about overconfidence. "Confidence contributes more to conversation than wit. " "Skill and confidence are an unconquered army. " "Confidence in nonsense is a requirement for the creative process. " "It is confidence in our bodies, minds and spirits that allows us to keep looking for new adventures, new directions to grow in, and new lessons to learn - which is what life is all about. " "Public confidence in the integrity of the Government is indispensable to faith in democracy; and when we lose faith in the system, we have lost faith in everything we fight and spend for. " by Adlai E. Stevenson Jr.